Thousands took to the streets of Gaza last week to commemorate the death of Hamad al-Hazanat, one of the co-founders of Hamas. Why would they do that? Are they all crazed “Jew hating Muslims” as one internet site had it? As a result, it is very difficult for Canadian journalists to talk to Hamas, and our view is mostly shaped by second hand sources – often Israeli – which have a negative view of the organization. 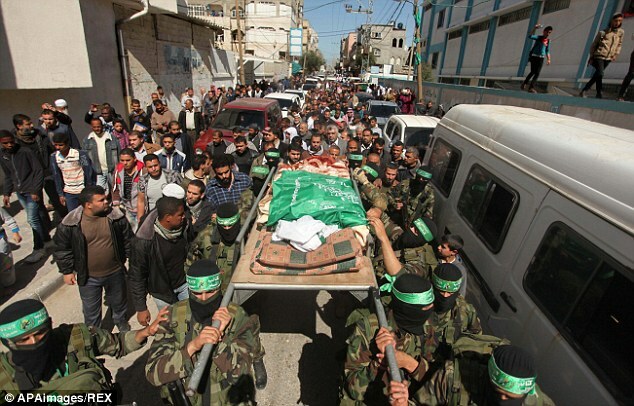 So its hard for many Canadians to understand why Gazans would support Hamas, much less why they would come out in their thousands to mourn the death of one of its founders. But a short article by Ramzy Baroud, an internationally syndicated columnist, gives some fascinating insights into al-Hazanat’s character and into the reasons why so many Palestinians respected him. Baroud remembers al-Hazanat as his geography teacher in a UN school in Gaza.The article helps understand why al-Hazanat and his family became political militants. Baroud is currently completing his PhD studies at the University of Exeter. His latest book is My Father Was a Freedom Fighter: Gaza’s Untold Story (Pluto Press, London). Posted in Conflict, gaza, hamas, Israel, Palestinians on March 11, 2015 by Peter Larson.